Create Hong Kong (CreateHK) is a dedicated agency set up by the Government of the Hong Kong Special Administrative Region in June 2009. It is under the Communications and Creative Industries Branch of the Commerce and Economic Development Bureau and dedicated to spearheading the development of creative industries in Hong Kong. Its strategic foci are nurturing talent and facilitating start-ups, exploring markets, and promoting Hong Kong as Asia’s creative capital and fostering a creative atmosphere in the community. 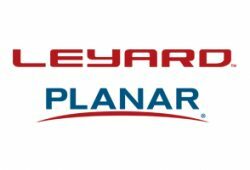 Leyard is a global leader in the design, production, distribution and service of digital displays, video walls and visualization products worldwide. Founded in 1995, Leyard is now the number one market share leader in the LED display market and fine pitch LED with indoor, outdoor, fixed and creative displays (Futuresource 2017 & 2018). 21st Century Fox is the world’s premier portfolio of cable, broadcast, film and pay TV assets, including FOX, FX, Fox News, FOX Sports, National Geographic and STAR India. It also owns Twentieth Century Fox Film, Twentieth Century Fox Television, a 50% interest in Endemol Shine and a 39.1% in Sky. Accedo is the trusted video experience transformation pioneer improving the lives of video consumers. Over the years, Accedo has earned the trust of the world’s leading video service providers – customers to whom two goals are paramount: explore new opportunities to monetise video and transform video services to meet rapidly changing consumer expectations. APT, an innovative satellite operator, delivers broadcasting and communication services to Asia, Middle East, Oceania, Africa, and most parts of Europe, extending services to over 75% of the world’s population. AsiaSat offers reliable satellite connectivity and media solutions to clients in the broadcast and telecom sectors with groundbreaking solutions and a comprehensive satellite fleet. From traditional content distribution to headends, telcos, DTH, DTT platforms; occasional use; to a new IP-based, hybrid OTT service, AsiaSat supports the digital divide, aiming to be the foremost satellite solutions provider, instinctive partner of choice in Asia Pacific. BBC Studios is a commercial subsidiary of the BBC Group. Formed in April 2018 by the merger of BBC Worldwide and BBC Studios, it spans content financing, development, production, sales, branded services and ancillaries. The company makes 2500 hours of content a year and is a champion for British creativity around the world. Launching an OTT TV service requires rethinking every aspect of running an online TV business, including orchestrating many moving parts for content owners to create, deliver, monetise, and manage an OTT TV business. Brightcove is focused on helping media and sports organisations to deliver exceptional VOD and live video streaming experiences in OTT. Cisco designs and sells broad lines of products, provides services, and delivers integrated solutions to develop and connect networks around the world. As a global market leader in our industry, we help our customers connect, digitise, and thrive. Together, we change the way the world works, lives, plays, and learns. ContentWise is the leading user experience management solution for pay TV, broadcast, OTT and streaming operators. The ContentWise software suite combines UI personalisation, self-tuning automation, editorial management tools, predictive analytics, testing and targeting capabilities. ContentWise customers are leading operators worldwide, including Cablevisión Argentina, iStreamPlanet, maxdome, Mediaset, MultiMedia Polska, RTE, SK Broadband, Sky, Telefonica and TrueVisions. FOX Networks Group Asia (FNG Asia) is 21st Century Fox’s multi-media business in Asia Pacific and the Middle East. FNG Asia develops, produces and distributes entertainment, sports, factual and movie channels in 14 languages. The FNG Asia portfolio includes over 30 channel brands, on both linear and non-linear platforms, including FOX Sports, FOX Life, FOX Movies, National Geographic, Nat Geo Wild, Nat Geo People, SCM (formerly STAR Chinese Movies) and SCC (formerly STAR Chinese Channel) and its on-demand video-streaming service FOX+. FNG Asia reaches more than 580 million cumulative homes with offices in Asia Pacific and the UAE. FNG Asia is a fully owned subsidiary of 21st Century Fox. France 24, the international news channel, broadcasts 24/7 to 355 million homes around the world in English, French, Arabic and Spanish. With a weekly audience of 61.2 million TV viewers, France 24 is available in Asia in English HD, English and French via AsiaSat 5. Friend MTS’ global monitoring and watermarking services can stop streaming piracy in minutes. Designed for premium sports and entertainment, our 3rd generation, battle-hardened ASiD service is the world’s most widely adopted watermarking. It has been independently tested for robustness and evaluated by ‘golden eyes’, making it Hollywood Studio approved and meeting the requirements of sports rights owners. InvestHK is the Hong Kong Special Administrative Region (HKSAR) Government Department responsible to attract Foreign Direct Investment and support overseas and Mainland businesses to set up or expand in Hong Kong. We provide free advice and customised services to help business succeed in Hong Kong’s vibrant economy. INVIDI Technologies is the world’s leading advanced addressable television advertising solutions company. We provide unrivalled, privacy-protected capability for delivering the right advertising message to the right audience at the right time with pinpoint accuracy, increasing advertising inventory value and effectiveness for the cable, satellite, telco, IPTV and advertising industries. MarkMonitor, the leading enterprise brand protection solution and a Clarivate Analytics flagship brand, provides advanced technology and expertise that protects the revenues and reputations of the world’s leading brands. Customers choose MarkMonitor for its unique combination of advanced technology, comprehensive protection and extensive industry relationships. MEASAT is a premium supplier of services to leading broadcasters, Direct-to-Home (DTH) platforms and telecom operators. With capacity across five (5) communication satellites, MEASAT provides satellite services to over 150 countries representing 80% of the world’s population across Asia, Middle East, Africa, Europe and Australia. NAGRA, a digital TV division of the Kudelski Group, provides security and multiscreen user experience solutions for the monetisation of digital media. The company provides content owners and DTV service providers worldwide with secure, open and integrated platforms and applications over broadcast, broadband and mobile platforms, enabling compelling and personalised viewing experiences. Founded in 1997, Netflix is the world’s leading Internet television network with over 117 million members in over 190 countries enjoying more than 140 million hours of TV shows and movies per day, including original series, documentaries and feature films. Members can watch as much as they want, anytime, anywhere, on nearly any Internet-connected screen. Members can play, pause and resume watching, all without commercials or commitments. Qvest Media is a world-leading systems architect specialising in broadcast, media and OTT technologies for broadcasters, operators, telcos, and production/post-production organisations. Qvest Media’s portfolio includes systems integration, digital transformation consulting, managed technology, professional products, cyber security and our latest offering Qvest.Cloud, a management and integration platform for multi-Cloud/on-prem/hybrid environments. SES is the world’s leading satellite operator with over 70 satellites in two different orbits, Geostationary Orbit (GEO) and Medium Earth Orbit (MEO). It provides a diverse range of customers with global video distribution and data connectivity services through two business units: SES Video and SES Networks. SPI International/FILMBOX is a global media company operating over 35 television channels in more than 50 countries across six continents. Our compelling channel portfolio includes thematic and movie channels with global brands including; FilmBox, FilmBox Art House, FunBox UHD, DocuBox, FightBox, FashionBox, Fast&FunBox, Gametoon and 360TuneBox. SpotX is the leading video ad serving platform that enables publishers, broadcasters, media owners, hardware operators and app developers to monetise their premium video content across desktop, mobile and connected TV devices through full programmatic infrastructure, and first-party data enablement to increase yield and revenue all in one platform. Star India has defined the Indian media landscape since 1991 and today is one of the country’s leading media conglomerates, reaching approximately 700+ million viewers a month across India and more than 100 other countries. Star generates 30,000+ hours of content every year and broadcasts 60+ channels in 8 different languages, reaching 9 out of 10 C&S TV homes in India. Tencent was founded in Shenzhen, China, in 1998. Tencent uses technology to enrich the lives of Internet users. Our social products Weixin and QQ link our users to a rich digital content catalogue including games, video, music and books. Our proprietary targeting technology helps advertisers reach out to hundreds of millions of consumers in China. Thailand’s leading pay-TV provider is offering families the widest variety of infotainment along with the most HD channels. In 2018 we’ve launched ‘4K Ultra HD’ for the first time ever in Thailand. Now serving over 4 million households, and counting! Turner is a global entertainment, sports and news company that creates premium content, as well as exceptional fan experiences and brands, including 58 channels in 14 languages in 42 countries in Asia Pacific. These comprise CNN International, Cartoon Network, Boomerang, POGO, Warner TV, Oh!K, Tuzki, MondoTV and TABI Channel. Launched in 1984, TV5MONDE is the world’s cultural TV network, and one of the largest 24/7 worldwide networks reaching over 354 million homes in 198 countries and territories. Thanks to its unique format and content, TV5MONDE brings the best of French TV to your audience with high quality programs, not available on any other channels, adding a great value to any offer. Viaccess-Orca (VO) is a leading global solutions provider of OTT ,TV platforms, content protection, and advanced data solutions for a personalised TV experience. VO offers an extensive range of innovative, end-to-end, modular solutions for content delivery, protection, discovery, and monetisation. Viaccess-Orca is part of the Orange Group. Vindicia, an Amdocs company, offers comprehensive subscription management solutions that help businesses acquire and retain more customers. Providing much more than just a billing and payments system, Vindicia’s SaaS-based subscription management platform combines big data analysis, strategic consulting and proprietary retention technology. That’s why they call us the Subscription People. Viu is a leading OTT video streaming service operated by PCCW Media Group in 16 markets. Operating with both an ad-supported tier and a premium subscription tier of service with more features, Viu delivers premium Asian content in different genres as well as original production series under the ‘Viu Original’ initiative. The service can be accessed via Viu app available for free on the App Store and Google Play, and also on the web. WarnerMedia (formerly Time Warner Inc.), a is the global leader in media and entertainment with businesses in television networks and film and TV entertainment. It uses its industry-leading operating scale and brands to create, package and deliver high-quality content worldwide on a multi-platform basis. WebTVAsia is the fastest growing digital media entertainment company in Asia with 250 million millennial users watching over 25 billion minutes of its 3,000 premium creator channels every month. In five years, it has expanded with offices in 11 Asia Pacific markets: China, Korea, Japan, Taiwan, Hong Kong, Vietnam, Thailand, Indonesia, Malaysia, Singapore and Australia. Disclaimer: Create Hong Kong of the Government of the Hong Kong Special Administrative Region provides funding support to the project only, and does not otherwise take part in the project. Any opinions, findings, conclusions or recommendations expressed in these materials/events (or by members of the project team) are those of the project organisers only and do not reflect the views of the Government of the Hong Kong Special Administrative Region, the Communications and Creative Industries Branch of the Commerce and Economic Development Bureau, Create Hong Kong, the CreateSmart Initiative Secretariat or the CreateSmart Initiative Vetting Committee. HBO Asia brings the best of Hollywood to Asia first through exclusive licensing deals with Hollywood and independent studios. HBO Asia has five subscription movie channels, a subscription video on-demand service, HBO On Demand, and an internet streaming platform, HBO GO. HBO Asia broadcasts proprietary and award-winning HBO and HBO Asia Original programmes produced for HBO viewers. Viacom International Media Networks (VIMN), a unit of Viacom Inc. (NASDAQ: VIAB, VIA), is comprised of many of the world’s most popular multimedia entertainment brands, including MTV, MTV LIVE HD, Nickelodeon, Nick Jr., Comedy Central, Paramount Channel, and more. Viacom brands reach more than 3.8 billion cumulative subscribers in 180+ countries and territories via more than 200 locally programmed and operated TV channels and more than 550 digital media and mobile TV properties, in 40 languages. Would you like to sponsor the Asia Video Summit 2018? Contact Adela Chen (Director, Events) at adela@asiavia.org to discuss sponsorship opportunities and how you can benefit from them.